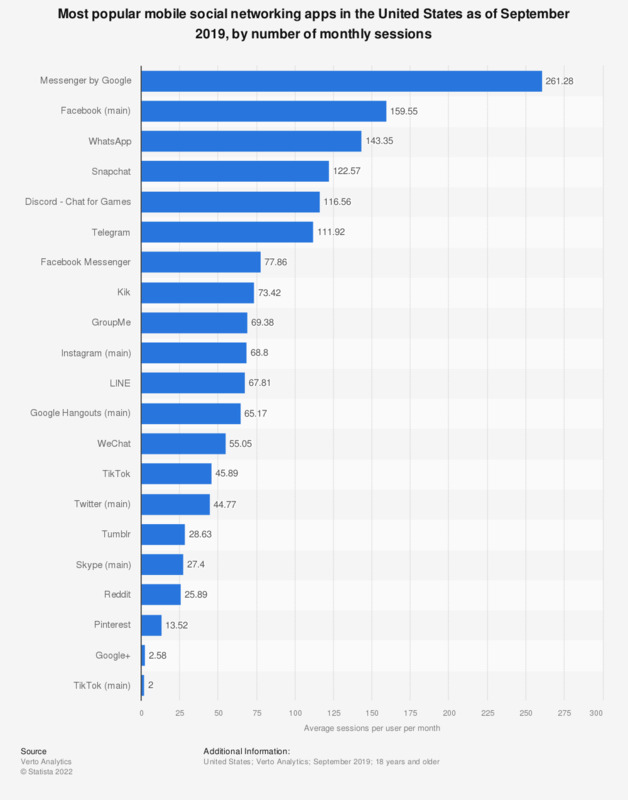 This statistic gives information on the most popular social networking apps in the United States as of October 2018, ranked by average number of monthly usage sessions. During the measured period, mobile Facebook users accessed the social networking platform an average of 149.1 times per month. Instagram users generated 66.9 usage session per month.